BEACHED: The boy was seen wandering by the sea front in Torrevieja. A BRITISH mother who failed to collect her three-year-old son from police in Costa Blanca for half a day has reportedly had him temporarily taken into custody. Local media say a judge in the Superior Court of Justice of the Valencia Community took the boy away from the woman, who was accused of abandonment. 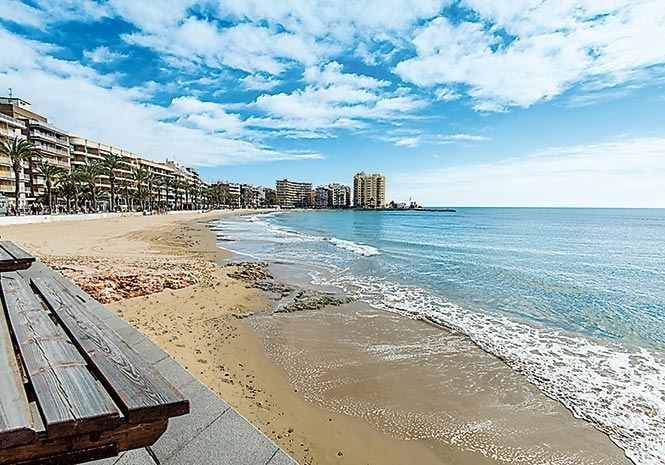 A worker in Torrevieja had alerted police to the youngster – dressed only in pyjamas and socks – wandering along the promenade in Torrevieja last Wednesday evening. When police found him they were unable to identify the child or his parents and there were no reports of missing children in the area. The same worker, who had alerted the police to the boy, then spotted a woman ‘looking for something’ on the seafront at around 9.30pm. After confirming that she was looking for her son, they told her that police had already found him and he was in the care of the authorities. However, it is claimed the mother didn’t contact the police until 8.30am the following morning and then took another two hours to collect him. She told officers she had lost sight of her son while she was out with a group of friends and she hadn’t gone to collect him earlier because she knew he was in safe hands. The unnamed woman is a resident in Spain. The court has informed social services in Torrevieja and the Prosecutor’s Office, according to local reports. The child has reportedly been put in a protection centre under the care of Valencian authorities.